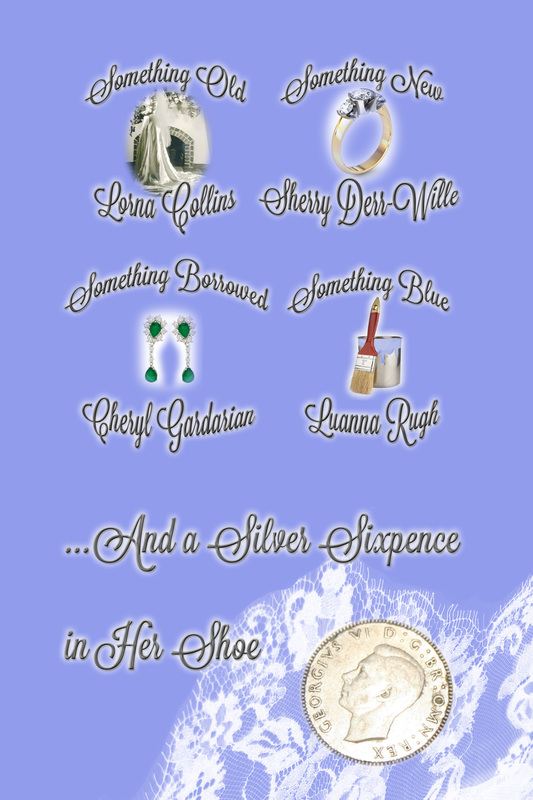 Four women in Aspen Grove, Colorado will discover the extra blessing this old tradition brings when a silver sixpence appears to change each of their lives. Find out how each of them finds this special good luck promise of love. When Lexie Thomas returns to Aspen Grove, Colorado to visit her grandmother, she never expects to find an old wedding gown, and she could never imagine the journey she’ll begin. But will it lead to love? Dana Mathews thinks she’s too old for love. That is until Sean Peters becomes her neighbor. Can this old gal learn a few new tricks? Carrie Roberts borrows her friend’s heirloom diamond earrings for a special performance, but when one disappears, she finds herself accused of theft. In the process of clearing her name, can she also find love? When Shannon Delaney inherits her mother’s house, she decides to repaint, and she definitely wants something blue for her bedroom. Will her painter turn out to be something more than just another tradesman?